RSVP to “A Taste of The Christy” May 24th. RSVP to “A Taste of The Christy” August 30th. When you plan a wedding, you plan both the big picture themes and the smallest details. It can be easy to get overwhelmed with deciding how to make your day not only enjoyable for your guests but memorable for you and your loved ones. One detail that can’t be left out, the order of events at your wedding reception, involves a combination of event planning, creativity, and attention to the needs of everyone attending. Here are some tips about making the order of events at your reception easy to follow with additional suggestions to change the order to fit your circumstances. Receiving Line – As your guests come to the reception, many couples opt to greet them at the entrance to show their appreciation for their attendance and receive gifts or cards. Cocktail Hour – Depending on if your ceremony and reception are in the same place, your guests may enjoy a little down time between the two big events that gives them some breathing room and a chance to chat with people they know. Cocktail hours often involved beverages and snacks and can be as formal or informal as you want. First Dance – The bride and groom often take their first dance together once the guests have settled at their tables or are mingling just long enough to get restless. Toasts and Speeches – Family members, close friends, and those in the wedding may take some time to speak about the bride and groom. Funny anecdotes, special poetry, or music may make up part of this time. 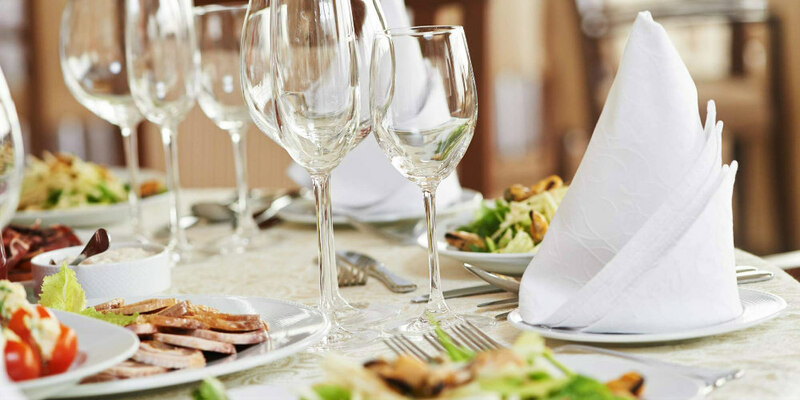 Meal (lunch or dinner) – If your reception falls within a range of time close to a meal time, your guests will likely expect to be fed. Meals at receptions can vary from lighter fare to a full catered wedding buffet with courses. Cut Cake – The dessert portion of the evening often involves the bride and groom cutting a piece of cake with one another and sharing it. The rest of the cake is either pre-sliced for guests or another person in the wedding party typically helps manage the dessert distribution. A common trend today involves the bride and groom cutting a cake topper while guests have cupcakes. Although the traditional order of wedding reception events can feel restrictive, there are ways to make it better suited to your needs. You’re not stuck with the order – it can be flexible and fit what you want! While there are a number of ways you can make your wedding reception easier, changing the order of events is a great way to do so while honoring traditions. Here are a few ideas to make your reception fun and flawless! Some wedding guests can only come to the ceremony or the reception but not both. To avoid missing guests who aren’t going to the reception, many couples move the receiving line to right after the ceremony so they can thank the guests who came, receive gifts from them, and say goodbyes before attending the reception. This also does away with the confusion that guests who only attend the ceremony might have with regards to giving gifts as they can hand them right to the bride and groom! Cocktail hour is usually orchestrated as a transition period between the ceremony and reception. However, it may squeeze your budget because you’re paying for drinks, paying for the meal, and paying for a cake. A cocktail hour may also be open to guests so the bride and groom can take photos with their wedding party. In order to save money, you might cut cocktail hour altogether and move directly from the ceremony to the reception, allowing for time for pictures before the ceremony. Or, if you want to still have the cocktail hour but save money, have a cash bar and let guests know ahead of time so they can bring money. You might also offer a ticket system that allows them more drinks for less money but still reduces your costs overall. It doesn’t take much for guests to get restless, and so combining toasts and speeches with your meal time saves time and keeps guests from getting anxious. One bit of advice however: make sure your sound system is loud enough so they can hear over clinking glasses and cutlery. It’s not too late to make your wedding memorable. Contact The Christy at 314-287-5263 to talk with an experienced wedding event planner. 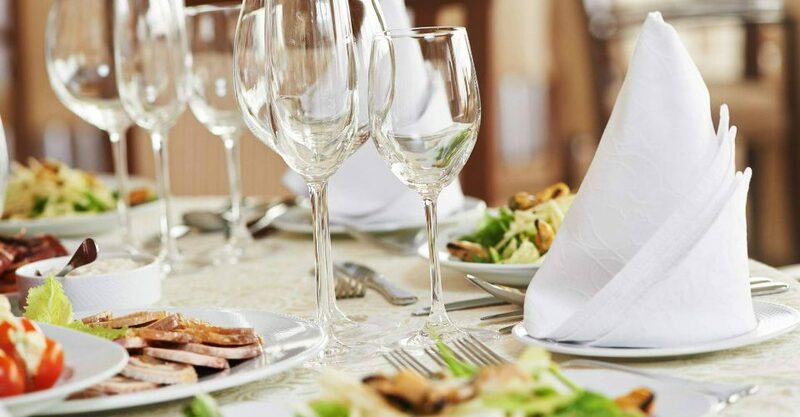 We have catering options and reception halls in St. Louis and O’Fallon to meet your needs. And don’t forget, we offer picnics for events of all sizes (including weddings) in conjunction with Picnic People!